Virtually every cat owner has had a moment where they’ve wondered, “Does my pet need to see a veterinarian?” Often, we turn to the Internet to answer this question, Googling symptoms and attempting to diagnose the problem. However, as a general rule, it’s always best to call the vet to make sure your cat is healthy — and to give yourself some peace of mind. 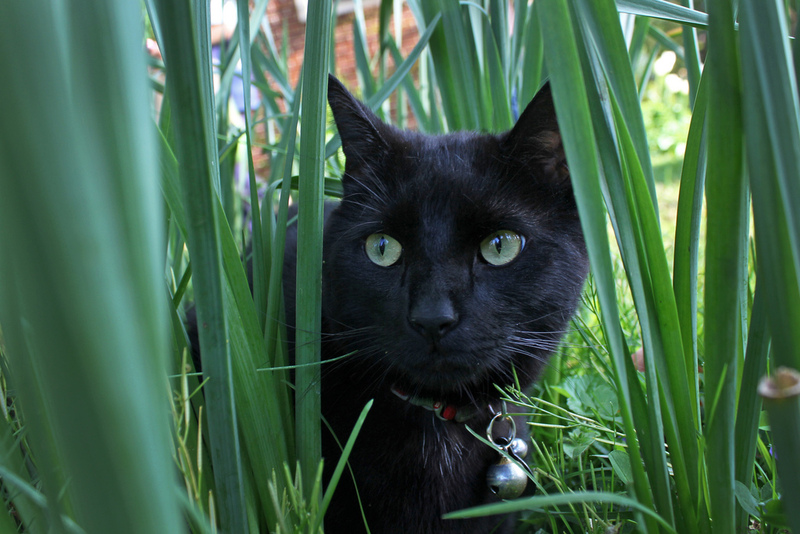 Still, it’s a good idea to be aware of what symptoms to look out for whether you’re at home or on the trail because a sick or injured adventure cat is a cat that should most definitely not be adventuring. Here are eight signs that it may be time to see a veterinarian. 1. Your cat is acting differently. Cats instinctively hide their pain, a survival mechanism that can keep them safe in the wild, but can make it difficult for well-meaning human caregivers to figure out what’s wrong. Often, when a cat isn’t feeling well, he or she will hide or avoid interaction, become lethargic, neglect grooming or simply not act like his or her usual self. A cat that isn’t acting normally is a cat that needs a checkup. 2. Your cat’s appetite has changed. Typically, cats will refuse to eat when they don’t feel well; however, some illnesses may increase a cat’s appetite. Learn more about feline appetite changes on PetMD. A cat’s thirst can also be affected when a cat isn’t in the best of health. Suddenly drinking a lot of water may be indicative of diabetes or kidney disease. 3. Your cat’s gums are discolored. The color of a cat’s gums can reveal a lot about his or her health. A healthy cat’s gums will be pink, and if you press them with a finger, the color will return to that same pink hue within seconds of lifting your finger. Different colored gums can indicate a variety of problems. For example, bluish gums may mean there’s a life-threatening lack of oxygen, and yellow gums could be a sign of liver disease. 4. Your cat is walking abnormally. 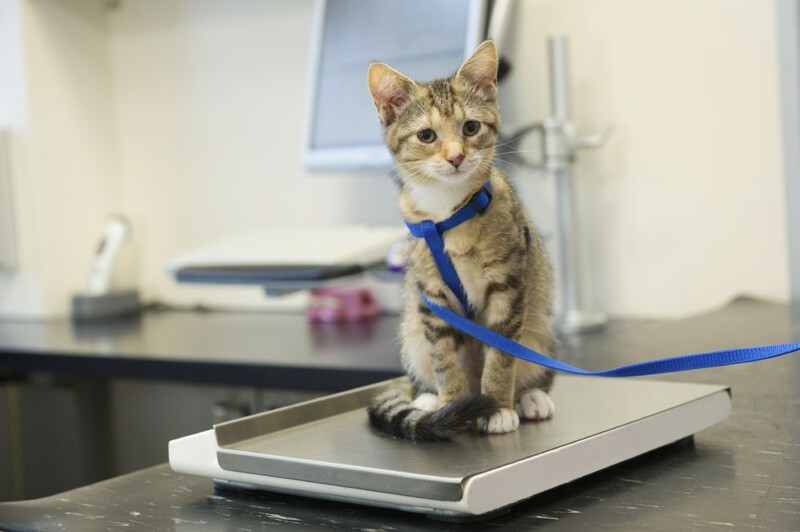 If your cat won’t put weigh on a limb, is favoring a leg or simply seems to be moving strangely, he or she may have arthritis, an infection, a fracture or another injury. 5. 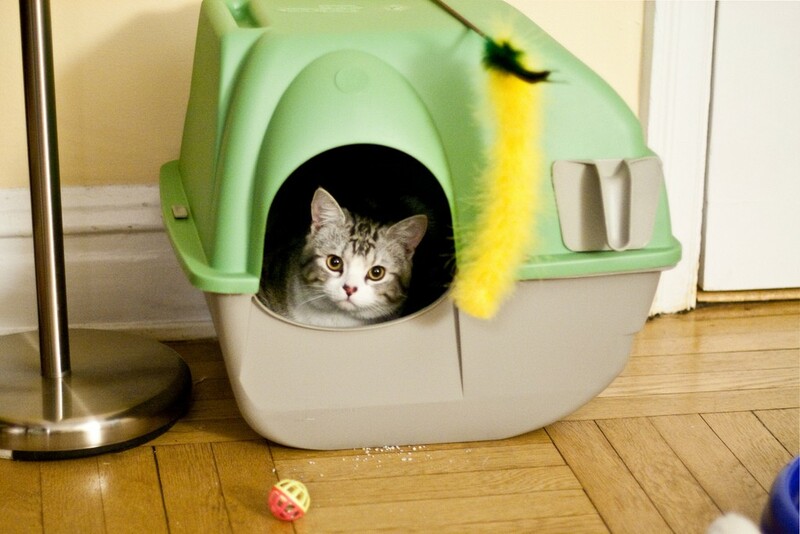 Your cat’s litter box habits have changed. If your cat is making frequent trips to the litter box or exhibiting signs of pain in the litter box by straining or crying, he or she may have a urinary tract infection or even a blockage, a very serious condition. Urinating or defecating outside the litter box could indicate kidney stones or feline interstitial cystitis, or your cat may simply have arthritis and find climbing into the box painful. Keep an eye on your cat’s litter box to ensure that he or she is urinating and defecating regularly and normally. Cats that aren’t using their box, cats with blood in their urine or stool, and cats with diarrhea accompanied by other signs of illness, should see a vet. 6. Your cat is vomiting. It’s normal for cats to vomit on occasion. “Usually they have eaten something disagreeable, eaten too much or too fast, are overly excited or nervous, have hairballs, or their body is reacting to any of a number of other non-serious conditions,” write veterinarians Drs. Foster and Smith. However, if a cat is vomiting repeatedly, if there’s blood in the vomit, or if the vomiting is accompanied by lethargy, your pet should see a veterinarian as soon as possible. 7. Your cat is coughing. Prolonged coughing that lasts more than a day could be something more serious, such as asthma, allergies, lung disease or heart disease. If your cat is having difficulty breathing or has blue-colored gums, see a vet immediately. Learn more about coughing in cats. 8. You keep wondering if your cat needs to see a vet. Trust your instincts. No one knows your kitty better than you, so if something seems off, take your cat to the vet. You’ll be glad you did. To learn more about determining if your cat is sick, check out the Humane Society’s seven-step at-home exam. It sure got me when you said that one of the signs of a kidney disease or diabetes is when I notice that the cat is drinking a lot more than usual. I guess that means I have been ignoring my pet’s obvious cry for help. I will take her to the vet immediately since she has been drinking a lot more and eating a lot less for a week or so now. Thanks! I have 2 cat that are 16yrs. old… very healthy. I was giving a new kitten (a Ragdoll kitten. She has had her baby shots before I got her. It’s been a week of hissing, growling them slapping her. The last 2 days my older cats have been throwing up & having diearea. Please help me and my girls. I really appreciate it when you said that if the vomiting is accompanied by blood or lethargy, then that is the sign that the cat needs to see the vet right away. I noticed that my cat is a lot more lethargic now than she normally is, but I never really did anything about it. To be honest, I thought it was simply because of the weather. Now I think we need to go to the vet. It was informative when you said that a bluish set of gums may indicate that the cat is suffering from a life-threatening lack of oxygen in their body. My sister is not panicking saying that her cat’s gums are bluish to black. I seriously thought that it was normal until I saw this article. I will ask her to take her pet to the vet ASAP to see what needs to be done. Thank you for sharing. It really helped when you said that coughing that lasted for more than a day might mean that the cat can have asthma or other diseases. With that in mind, I would have to tell my sister to bring her newly adopted cat to a veterinarian as soon as possible. This is because I noticed that it was coughing yesterday when visited them. Then, I came back this afternoon because I left something, and it was still coughing. Thanks for the suggesting that we should keep an eye on the color of our cat’s gums for key indicators of health problems. My family recently adopted a puppy and kitten, and I’ve never had a cat before so I’ve been researching how to properly take care of them. I’ll definitely follow your advice and check the color of her gums every once in a while! I appreciate it when you mentioned that cats often hide and avoid human interaction if they are not feeling well because that is the survival mechanism that they have adapted. At least, now I can confirm that there really is something wrong with Chiro. He has been avoiding me for a while now and during the times when I do see him outside, he would walk slowly like his feet hurt. It might be best to take her to the vet after all. You said that the color of a cat’s gums can reveal a lot about their health. When I press on my cat’s gums, I see that her gums have a yellow tint to them. I would be devastated if my cat died from liver disease, so I am going to look for a vet in my area that could help me understand what is happening. The vet may even treat my cat to be better! I appreciate how you mentioned that if a cat is becoming lethargic or neglecting to groom themself, it may be a sign that he or she needs to see a veterinarian. My husband and I are worried that our cat’s sleepiness and isolation may be a sign of a more serious medical problem. We’ll have to take her to a local animal hospital that we can trust to help identify any problem so she can be healthy and safe for years to come. When you mentioned that my cat should see the vet if my cat is acting differently, I realized that there might be something wrong with her. You also pointed out that she should go to a vet if her appetite has changed so I might take her to an animal hospital to be sure. Since you also said if my cat is vomiting, that’s a sign of an abnormality I should not ignore so I’ll take her to one soon.